Submarine chasers SC 99, SC 227 and other chasers. 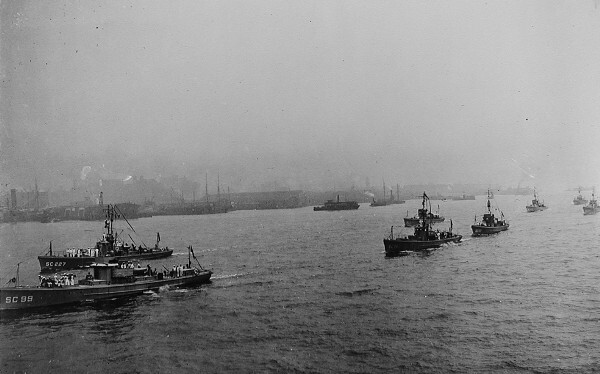 Caption: Submarine Chasers in race from Bermuda to New York - Sailing up the Hudson River. Photograph of submarine chasers. National Archives, RG 19N, Box 22, College Park, MD. Thanks to Dan Treadwell for submitting the scan to the Subchaser Archives.